We all have these brands that we go back to for our wardrobes, whether it's for the quality, the designs or their convenience (e.g. your favourite pair of jeans that you go back to again and again). 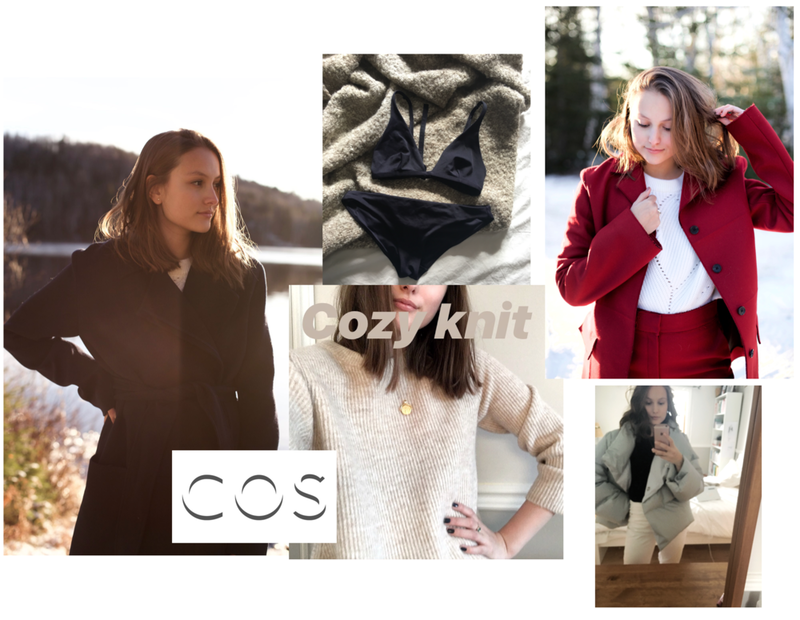 Today I decided to share with you the 4 brands I love the most in my wardrobe. These brands are tried and tested and I would recommend them to everyone! Ahhh Ganni! A cool Scandi brands I go to for bold pieces. They are famous for their wrap dressed and graphic t-shirts. I absolutely love the pieces I have from them because they are versatile and just makes me so happy. They can be quite the investment pieces unless you find them on sale (and these happen every few months, but stocks are gone fast, so be quick). 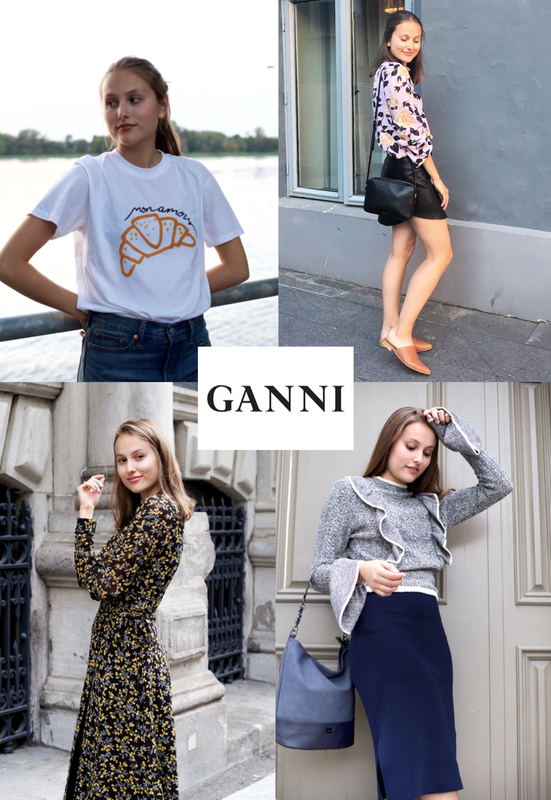 You can find their pieces at Hudson Bay and online, via Shopbop, Net-à-Porter, some old collections on Asos and on the Ganni website if you're in Europe. I also highly recommend you look on the resale market with places like Depop, Vestiaire Collective or the Real Real, it can be a great way to find pieces from older collections that you loved. I couldn't possibly do a post about my wardrobe without mentioning COS. My top tip is to buy clothes during the sales because that's when you score great basics for a fraction of the price. Every season they come out with the most beautiful color palette that you wouldn't find elsewhere. I also adore their coats, in fact, I have 3 of them in my wardrobe that I alternate during the cold months. Finally, it's a great place to find unique yet comfortable tops and minimalist swimsuits! I'm so proud because Aritzia is Canadian! Over the years I've bought many pieces from them and I've never been disappointed. Two of my favourite leather bags are from there, I have a giant wool scarf and a warm parka for winter, so many comfortable bralettes, a chic white knit for cold days, two pairs of Levi's jeans, a cute pleated skirt, a fancy dress, and a lot more! I love how the store is divided into different brands with their own aesthetic (the best in my opinion is Babaton). If you're ever in Canada, this is a must stop. However, I prefer avoiding their online store unless I already know what I want to avoid shipping costs. - Mango - For great basics or trendy pieces that aren't too expensive. Their online store is amazing! - Topshop - For jeans!! - Céline - For accessories. I will forever cherish my Celine Box bag and my espadrilles. - Josiane Perron - For local fashion that's easy to dress up or down. Her pieces are timeless!